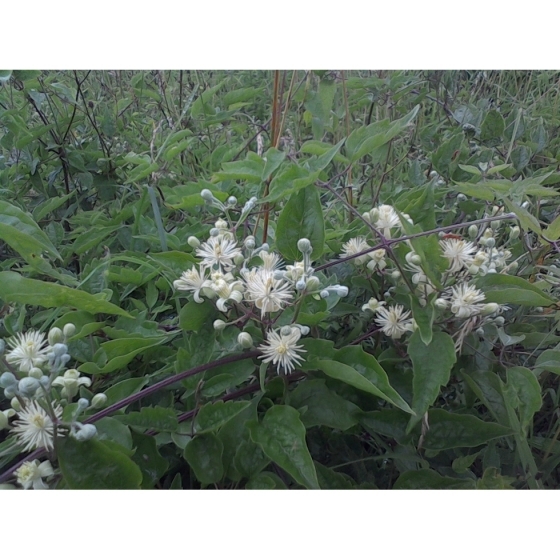 TRAVELLERS JOY seeds (clematis vitalba) from Wildflowers UK. 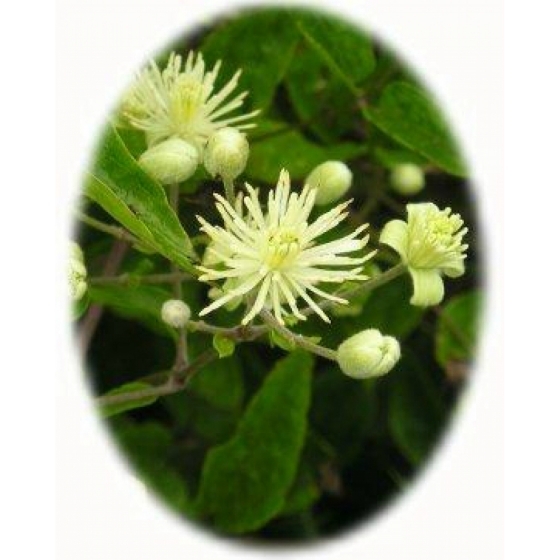 Traveller’s joy -clematis vitalba – is a rambling shrub of hedgerows that is a familiar to many as old man’s beard and can be grown in sun or shade. This name comes from the white fluffy seeds that are at their most obvious in mid winter. 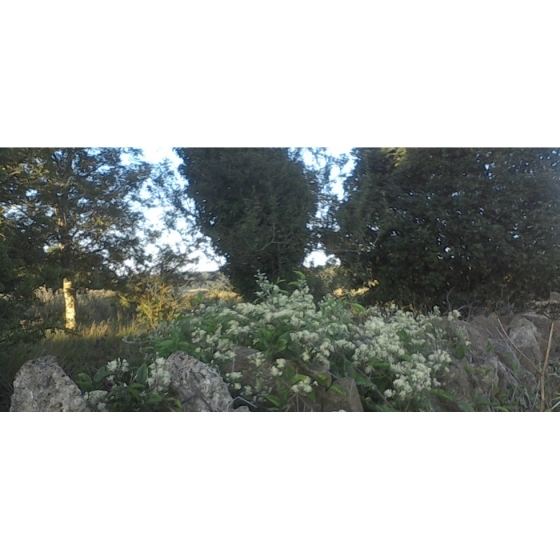 Less familiar are the creamy white flowers that appear mainly in July. Traveller’s joy grows particularly well on light soils containing chalk or lime where it will sometimes form a low-growing shrub within grassland. In gardens, Traveller’s joy can be grown in a wild hedgerow or over a wall to provide winter interest and colour. In summer the flowers will attract insects such as bees and hoverflies. 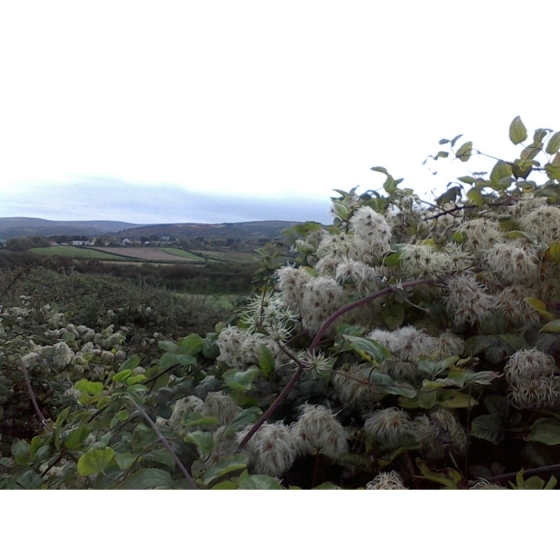 Alternative names for Traveller’s joy include Old man’s beard and Wild Clematis. Traveller’s joy seeds should be sown in autumn, either outside, where they are to flower, or in seed trays and covered lightly with compost. Seed trays should be left outside over winter either in a cold frame or covered with a sheet of glass. Traveller’s joy seeds can be erratic to germinate. The seedlings, which are quick to develop, can be pricked out and grown on, for planting out later in the year. To purchase Traveller’s joy seeds, please select a quantity above and click add to cart. To ensure the best chance of success, we sell all of our wildflower seeds by weight, which ensures each wildflower seed packet contains a good quantity of seeds. The recommended sowing rate is 1 gram per square metre. All of our Wildflower seed packets contain seeds of Native British provenance.